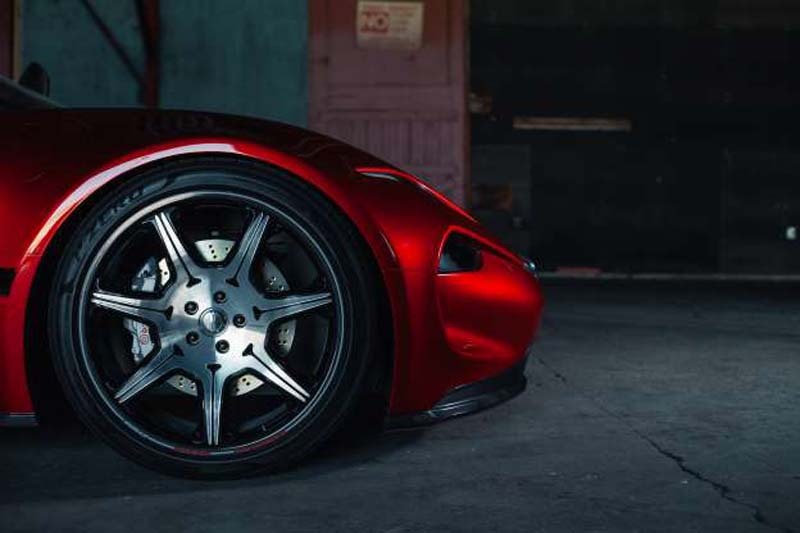 We've been following Henrik Fisker's new company closely, and have taken a keen interest not just in his Fisker EMotion luxury electric sedan, but also in the battery and charging technology the company's been developing. Now, at the 2018 Consumer Electronics Show (CES) in Las Vegas, we've gotten a full reveal of the upcoming vehicle, as well as new details about Fisker's solid-state battery technology, which has the potential for dramatic increases in electric driving range. Fisker teased the reveal of the EMotion in recent days, showing off the butterfly doors, and giving us a glimpse of the interior. Previously, we had learned of its fantastic, 400-plus-mile range and swift charging capabilities. A conversation we had with Henrik Fisker revealed more about the design, the battery and a secret charging method that he thought could change the EV game. Now, we have a lot more details about the car, though Fisker is still keeping some of his company's tricks under his hat. The all-wheel-drive Fisker EMotion will have an estimated top speed of 161 miles per hour. It will be capable of Level 4 automated driving thanks to a suite of five Quanergy lidar sensors. The car will ride on 24-inch Pirelli low-rolling-resistance tires. 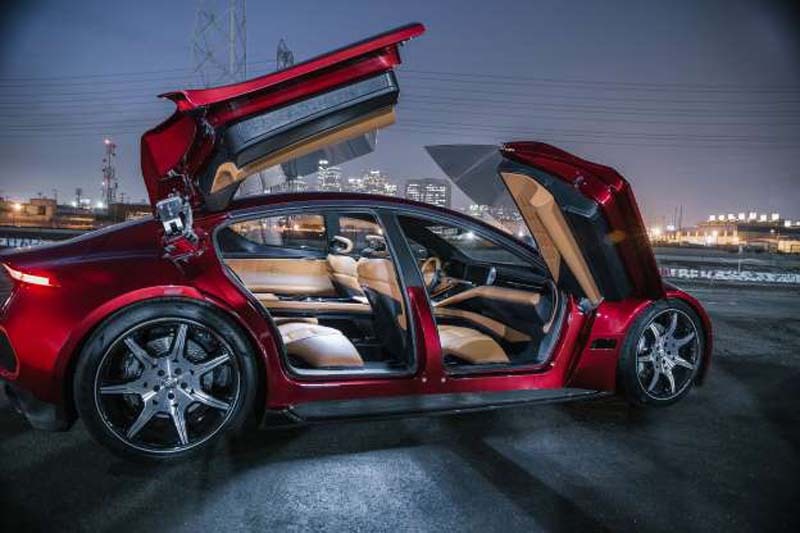 The butterfly doors feature flush handles, and they open and close with the help of smartphone control. 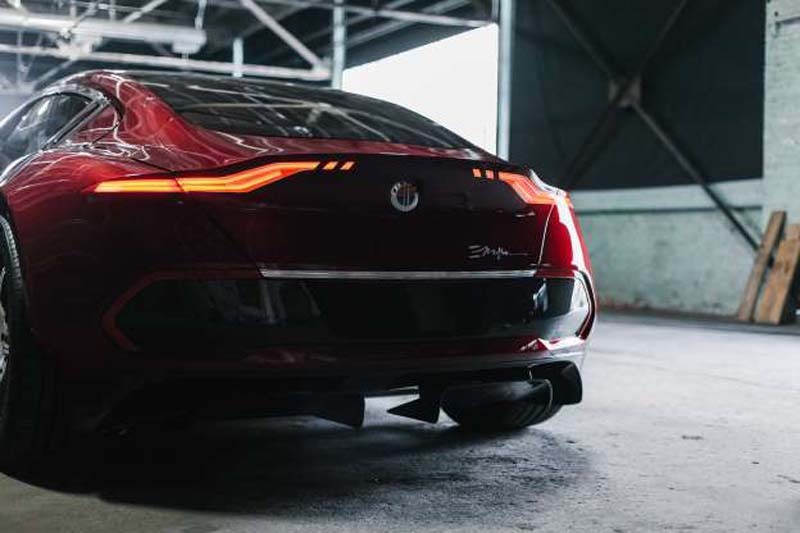 The car is about 197 inches long, with an overall height of about 52 inches, but Fisker says the packaging of the electric powertrain allows for a more spacious interior than most vehicles of this size. Let's talk more about that interior, as this is the first time we've gotten such a close look at it. It's very luxurious, combining the comfort of leather with the convenience of modern infotainment technology. 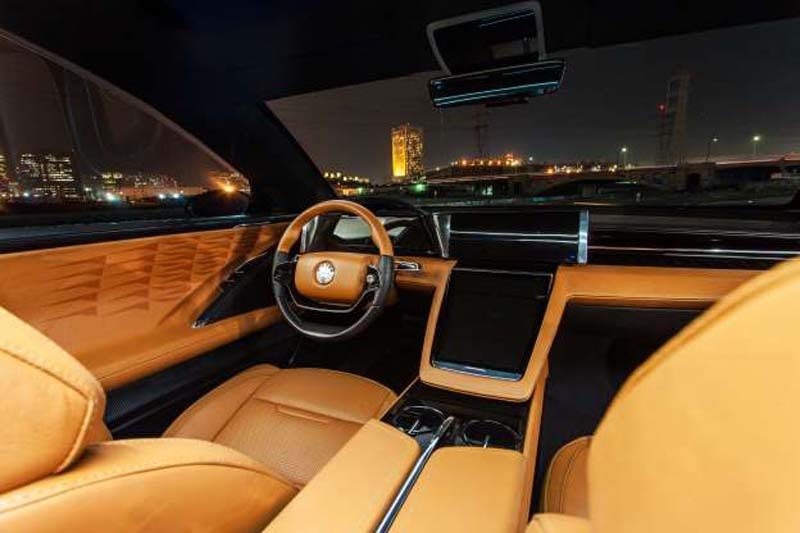 Fisker says it will also offer a vegan interior option for the EMotion. The car has four individually adjustable electric seats, with a five-seat option with a rear bench. 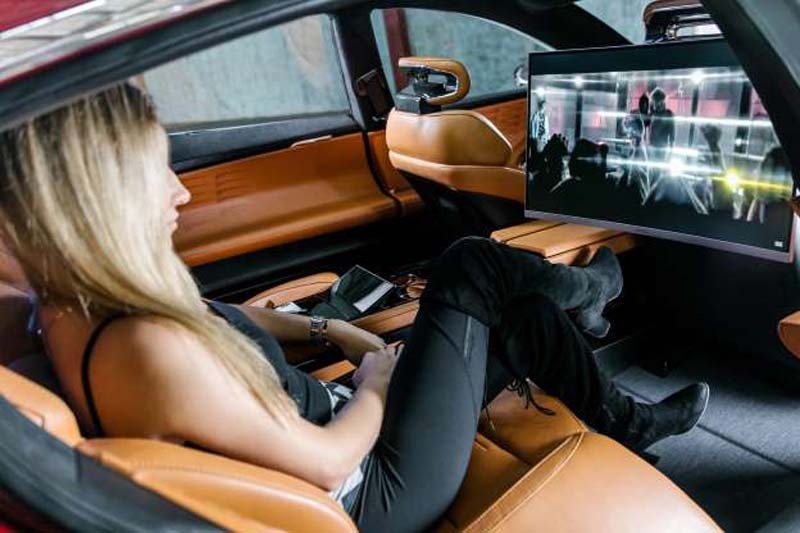 Fisker promised the car would provide entertainment when operating in autonomous mode, and that comes in the form of three driver-oriented screens, with a curved center screen, as well as an optional 27-inch rear curved screen for the Chauffeur Edition EMotion. The glass roof features four zones of tint, each electrically adjustable to let in your desired amount of light. The Fisker EMotion is set to launch by the end of 2019, with a starting price of $129,000. The company is currently taking reservations for $2,000 at its website. Also on display at CES was Fisker's patent-pending flexible solid-state battery technology. While the EMotion will launch with a lithium-ion battery pack using cells from LG Chem, the company is working on solid-state tech for EVs for 2020, and for personal electronics such as cellphones with an earlier expected launch. These batteries will more than double the energy density of lithium-ion. This technology "is the next generation in charging everything from your personal cellphone to enabling mass adoption of electric vehicles due to unprecedented ranges and lighting-fast charge times," said Henrik Fisker. "We're incredibly excited to showcase working solid-state batteries and the vehicle, in-person, on such a massive global stage. 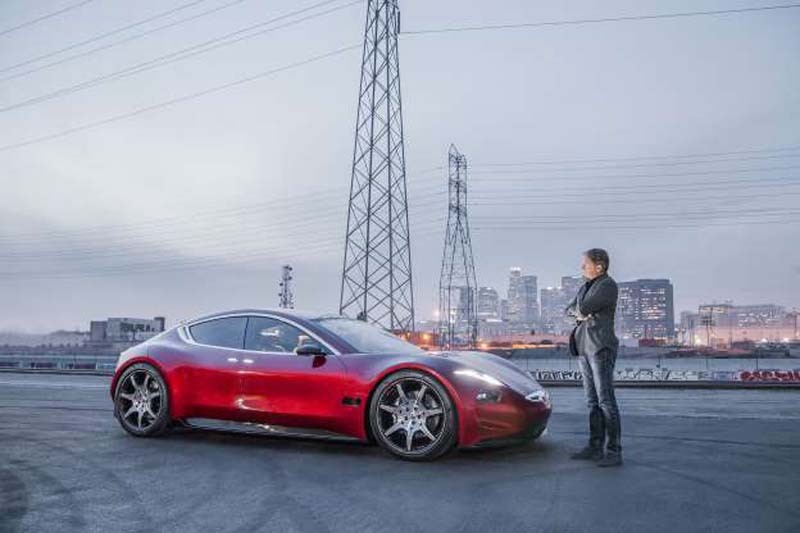 Fisker Inc. is about breaking barriers, leading in automotive technologies and ultimately creating the most desirable, functional futuristic electric vehicles."